Jonny Gould's Soccermongery: Maradona: leave my vuvuzela alone! 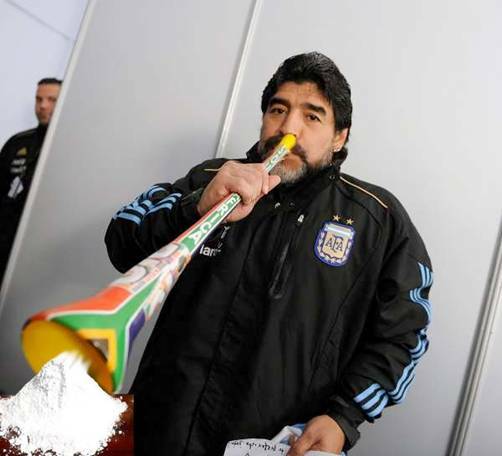 Maradona: leave my vuvuzela alone! Trust Diego to find his own use for the Vuvuzela. The much maligned tool has received worldwide criticism for a low-level droning noise - and I guess the Vuvuzela is no different! Would Coke brand these up for matchday?